Chief of the Army Staff (COAS) General Rajendra Chhetri left for the Republic of the Union of Myanmar for an official visit on Tuesday (July 03, 2018). After his four-day visit to Myanmar, COAS Gen Chhetri is scheduled to have an official visit to People's Republic of China (PRC) starting from July 08, 2018. Chief of General Staff (CGS) Lieutenant General Purna Chandra Thapa bade farewell to COAS Gen Chhetri at Tribhuvan International Airport (TIA). 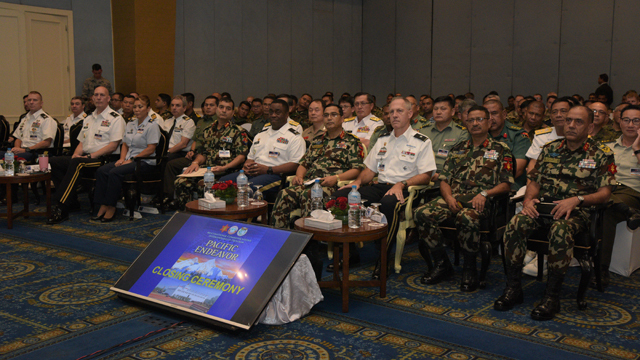 General officers of the Nepali Army (NA) and Defense Attachés of foreign embassies in Nepal were also present on the occasion. A troop of NA presented the 'Guard of Honour' to COAS Gen Chhetri before his departure. During his Myanmar visit, COAS Gen Chhetri will pay a courtesy call on HE Mr. Win Myint, President of the Republic of the Union of Myanmar, Ms. Aung San Suu Kyi, State Counselor of Myanmar and Senior General Min Aung Hlaing, Commander-in-Chief of Defence Services. While in China, COAS Gen Chhetri will meet Honourable Defence Minister, his Chinese Counterpart and other high ranking officials. 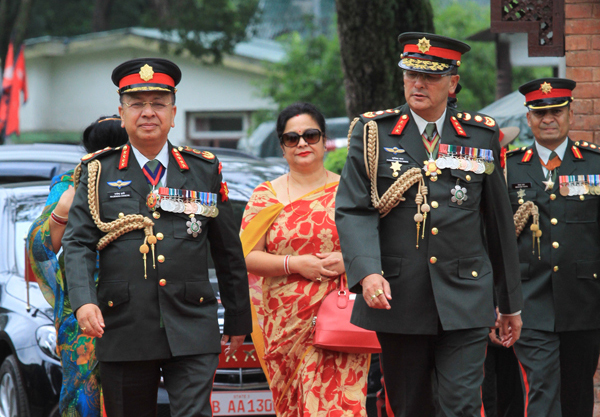 In his absence, CGS Lt Gen Thapa will officiate as the Acting Chief of the Army Staff (COAS) of Nepali Army. Ending his visit, COAS Gen Chhetri will return home on July 13, 2018.